Radhika Holmström investigates the most common form of inherited macular dystrophy. Most people associate macular degeneration with older people. Age-related macular degeneration is, after all, the most common form of sight loss in people over 50. Yet a large number of rare inherited conditions start affecting people at a much younger age, including in childhood. And indeed, some of the most cutting-edge recent work has been conducted on the most common of these conditions – Stargardt’s Disease. Importantly, inherited retinal disease is now the most common cause of visual impairment certification in the working age population in England and Wales, and the second most common in childhood. Stargardt’s Disease (STGD) is an inherited “autosomal recessive” condition. Both parents carry a genetic fault on the relevant gene (ABCA4) and there is a 25 per cent risk that any pregnancy will result in a child with the disorder. The exact prevalence varies: some estimates are that it is relatively common, others that it may be as low as 0.1 in 100,000. 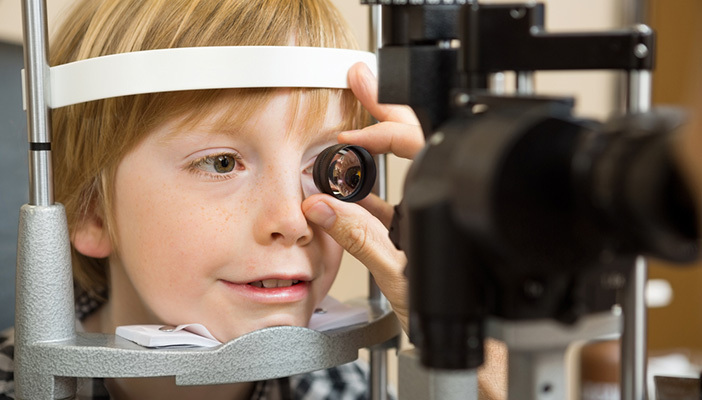 There are two main times that it is diagnosed, either in childhood or early adulthood (there is a less common form – Foveal-sparing STGD – which is diagnosed in later adulthood). Whatever the severity, people with STGD are encouraged to avoid excessive exposure to bright sunlight including wearing good quality UV-light blocking sunglasses, and also to not take vitamin A supplements; both of which may help to slow the build up of lipofuscin. Many researchers and pharmaceutical companies are exploring drug targets, including a modified form of vitamin A, which aim to either block or reduce this accumulation, or directly target the toxic end products that result in RPE and photoreceptor cell death. Clinical trials are anticipated over the next 18 to 24 months. Stem cell and gene replacement therapy is currently in clinical trial. The ABCA4 gene responsible for STGD was identified in 1997, but unpicking what actually goes wrong with it has not been straightforward because it has more than 6,800 DNA letters and, so far, researchers have detected more than 800 genetic faults. Professor Michel Michaelides and colleagues at UCL are investigating the full range of mutations, finding that the severity of the condition is roughly linked to the severity of the mutation. A human clinical gene therapy phase I/IIa trial being conducted in both France and the US is exploring sub-retinal injection of a normal copy of the ABCA4 gene. The trial has shown no safety concerns to date and is now recruiting younger patients with milder disease for the final part, with plans potentially to expand the total numbers of participants and centres. The information about how effective this trial has proved is expected in the next 18 to 24 months. At Moorfields, Professors James Bainbridge and Michel Michaelides are leading the European part of a trial of human embryonic stem cell derived RPE cells in STGD. “It’s designed principally to understand the safety of transplanting cells into the eye and see whether they can survive. The data has yet to be fully reported, but the early findings suggest that they appear to survive and appear to be safe,” Professor Bainbridge says. “In theory, I’d be interested in a trial – but it’s not top of my list.” Sam Collin describes her experience of living with Stargardt’s. I started noticing that I was struggling with seeing things when I was about seven or eight – my brother, who is a couple of years older, had already been diagnosed with sight problems. However, I didn’t actually know for years that it was Stargardt’s. I just knew I was being moved to the front of the class at primary school, and that at secondary, I was given things like a huge pair of glasses and a magnifying glass. My brother went to a school with a specialist unit for VI children, but I was in mainstream – I actually preferred being with all my friends. At university, I started using more technology – I got a grant to get a laptop, and a CCTV magnifier, and suddenly had lots of kit to use. My university library invested in a scanner that would read books out to me and offered to get books out for me on tape. Since then, my sight has got progressively worse. The central vision went first. Once I moved to London in my mid-20s, I’ve had regular appointments at Moorfields too. In theory, I’d be interested in a trial – but it’s not top of my list of concerns. I have pretty low expectations, on a personal level, about new treatments. Alongside this, I’ve always worked – I’m now in a fairly senior and responsible job in the voluntary sector. Occasionally, having a sight problem has been an issue; it has really varied. I’ve had interviews where I have been asked very personal questions about my sight, but when I started working, they were really supportive and helpful. I’ve also had the reverse. In fact, it’s only relatively recently that I’ve started talking about myself as registered blind, rather than partially sighted. Having said that, I spent about five years on the board of a small charity that supports VI people too – and it was great to feel I could combine my personal understanding with my professional experience of the voluntary sector. Read the full BMJ article - A comparison of the causes of blindness certifications in England and Wales in working age adults (16-64 years), 1999-2000 with 2009-2010. By Liew G, Michaelides M, Bunce C.
Read more about different eye conditions in our eye health section.